Boxing fans are great at two things: asking for what they want and complaining at what they're given. It seems a natural talent, one that I am as guilty of as the next ring observer. But it seems we're now faced with a third talent, which is to worry about how we're given it. 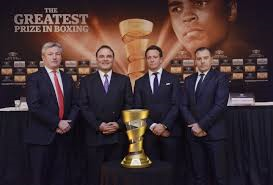 When the World Boxing Super Series (WBSS) was announced, it managed to put us at ease. By giving us the best fighting the best (certainly at cruiserweight, partially at super middle) we got what we had asked for and all was right with the world. There was even a healthy amount of British interest, even if Tony Bellew absconded from his self proclaimed 'best cruiserweight in the world' to continue his heavyweight adventures. But time has ticked on since the announcement of the participants. We're now peak off-season, so filling the absence of actual boxing (bar the odd interspersing of a light welter unification and a 154lbs circus) is a hard task. It seems that as a collective, our attention has now switched to 'where will the WBSS be shown?' - and the answers aren't forthcoming. 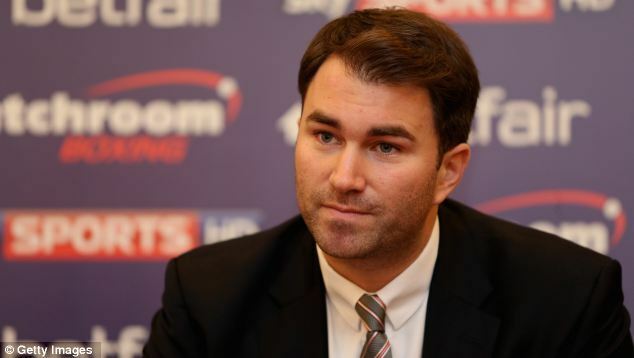 All that we know, from the much gospelled mouth of Eddie Hearn (cough cough), is that the WBSS package is being sold as a whole, not broken into the component fights. So in other words, a broadcaster buys it all, or they have nothing. But could it be franchised? Could a broadcaster buy the rights to one fight individually and then leave the others? Take, for instance, George Groves vs Chris Eubank Jr as a potential semi-final. That fight alone could generate millions in PPV revenue. Two ready made household names that can both sell a fight, it would be a broadcasters dream. However, are the UK broadcasters really falling over themselves to show Murat Gassiev vs Krzysztof Wlodarczk? Absolutely not. This isn't to say it won't be a good fight, as it most likely will, but the viewing figures on these shores will be minimal. So no doubt there is a balance to be struck for a broadcaster. If, indeed, the package is a whole, then does the cost outweigh the eyes on the screen? There are 14 fights in total for the WBSS, which is a big commitment over the space of the 9 months to planned completion. Certainly, one of the big considerations will be how likely we are to have Chris Eubank Jr vs George Groves. Should that come off, the broadcaster has struck gold. 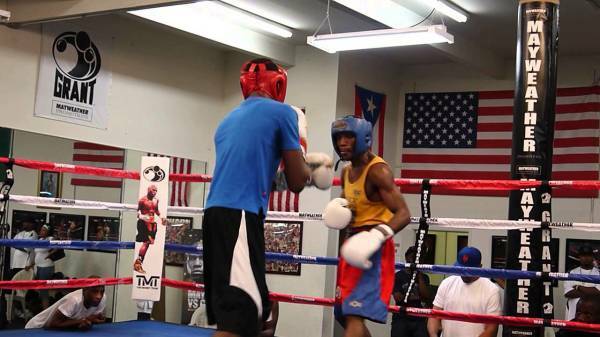 500,000 PPV buys maybe? At a sum of £20 each, that's a £10 millions windfall - and don't forget, there are no purses to be paid out of that pot as they are covered by the tournament. It's a big gamble though; a slip up from either of the household names, and you're now left with Jamie Cox vs Avni Yildrim. Hardly a saleable commodity. Here's the problem: if you leave a void, then social media will fill it. 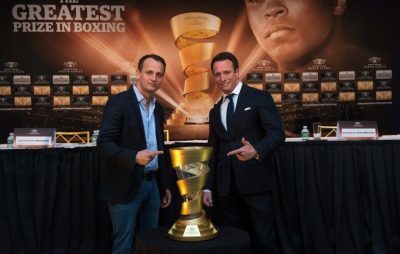 For the WBSS, there has been plenty of opportunity for Richard Schaefer or the Sauerland Brothers to come out and give us some details. Then, there is another case where pontification from fans is outweighing the noise from Promoters. Hughie Fury vs Joseph Parker. Taking place in just over a month, there is currently a world heavyweight title fight taking place in Manchester that doesn't have an announced TV deal in place. The limitation this causes of course, is that those vital days, weeks and months of people being aware of the fight are being lost. A press conference has been and gone with little to no fanfare. 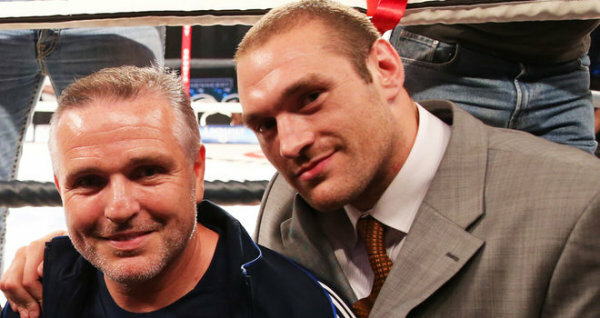 We've had the re-retirement of Tyson Fury to add some drama. But still, the hype is minimal. How it would benefit right now from having some TV exposure, an advert to tell us when, where and how much. If nothing else, remind us it's happening, condition us to the idea of the fight. But nothing. In reality though, does any of this matter? Who cares what platform the WBSS lands on? When Callum Smith fights Erik Skoglund on September 16th in Liverpool to kick off British interest, those that wanted a ticket will be sat in their seats and those that didn't will be sat at home watching. On which channel? No idea. But what are we going to do, turn the channel over now? Seems unlikely. 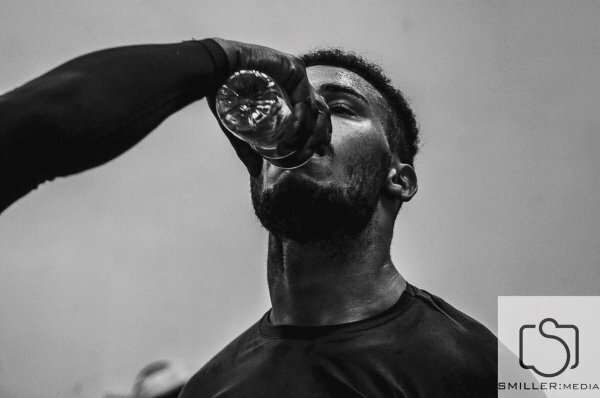 When Hughie Fury makes his ring walk, it would be almost unfathomable to think that a broadcaster hasn't dipped into their pockets to show a potential new British world heavyweight champion. For either event to happen without a broadcaster attached would be the biggest case in history of cutting off a nose to spite a face. The rights will be sold. The fights will be shown. All of the WBSS? Perhaps not. But then, that's what streaming is invented for surely? A broadcaster, somewhere in the world, will be showing Oleksandr Usyk vs Marco Huck. We'll find it somehow. Somewhere, in the type of place we don't need to know about, there will be discussions going on, negotiations taking place and hopefully, agreements being made. People with far deeper pockets than you and I will be thrashing out terms. Perhaps the price that is being asked for is too high? Perhaps the schedule is hard to fit in? Perhaps, there just isn't as much interest in it as people had perceived there to be initially? Boxing is still a peripheral sport in comparison to the major UK interests. We may have rammed Wembley with 90,000 for Anthony Joshua, but let's not forget that athletics managed to gather 70,000 every morning and night for over a week very recently. Boxing simply doesn't have that appeal, and perhaps the broadcasters are realising that. Whatever the reason is for the delays, we will probably never know. But again, do we need to? Is it that important? Can we not just rest in the knowledge that despite the inherent politics of the sport and the backstabbing culture that engulfs it, nobody will be that stupid to allow UK fighters to battle it out without a booming boxing market having their eyes on it. If it is cost related, then the businessmen at the top are wise enough to know that a little bit of something is more than all of nothing. So until this all starts, hypothesise and pontificate. Take wild swings at the air and pot-shot ideas. But don't panic. Go back to your corner, take a seat on the stool and wait. Because eventually, it will start, and then we can all be happy again.